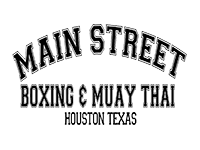 Learn authentic and world renowned Muay Thai in a fun, safe, and ego-free atmosphere! Learn techniques such as; kicks, knees, elbows, punches, and clinch work. Our Muay Thai curriculum is developed from Champion Trainer Kru Bob Perez. Beginners Muay Thai is a great introduction to the art of Muay Thai! You will learn the offensive and defensive fundamentals of Muay Thai. Learn techniques such as; kicks, knees, elbows, punches, and clinch work. Learn the fundamentals of the “Sweet Science”. This class will challenge your fitness, and take you through the routine of a real amateur boxer. In this class boxers will jump rope, slip rope, work line drills, partners drills, and sparring (optional). A 1 Hr Class developed by former Heavyweight Champ Lou Savarese and trainer to the Champions Bobby Benton. In this class you will hit the bags, and pads with a focus on footwork, technique, and conditioning. Whether you are a novice in boxing, or trying a class for the first time, Savarese Fight Fit classes cater to all skill levels. This class will have you shedding pounds and lean in no time! Learn all facets of the fastest growing combative sport in the world. You will be taught Boxing, Muay Thai, Kickboxing, Wrestling and No Gi Grappling fundamentals that you will use to make you a complete Mixed Martial Artist. Classes are taught by Champion MMA Coach, Kru Bob Perez, Retired Undefeated Pro, Cody Owens, and other high level professionals.